Fun, new, exciting, one-stop gift shopping! Your favorite boutique in Suwanee! are also available. Stop by the store for all of your holiday needs! Give the gift of style this holiday season! The sole mission of fab’rik is to provide high style with heart all while maintaining their vision to create a women’s boutique where everyone can afford to feel beautiful. With everything from clothing, jewelry, accessories, and shoes you can make them your one-stop-shop this holiday season. Sitter while you shop! Reserve daycare for your dogs this holiday season. Sugar Hill Animal Hospital is an AAHA accredited, full service animal hospital offering in-house diagnostics and medical treatment in their state-ofthe- art facility. They pride themselves in their pet resort and offer VIP suites, doggie daycare and Gwinnett’s only heated saltwater pool. Their professional groomers provide grooming services for all breeds. $20 OFF a new puppy or kitten exam. Celtic Christmas Gifts! Give the gift of heritage and elegant classic style to celebrate Christmas! Near Suwanee town center, find the kilt, tartan, or Celtic accessory to make the perfect gift! Reasons to wear a kilt: golf, weddings, cruises, proms, football games, Celtic events, memorials, holidays, celebrations, just for fun or at work! 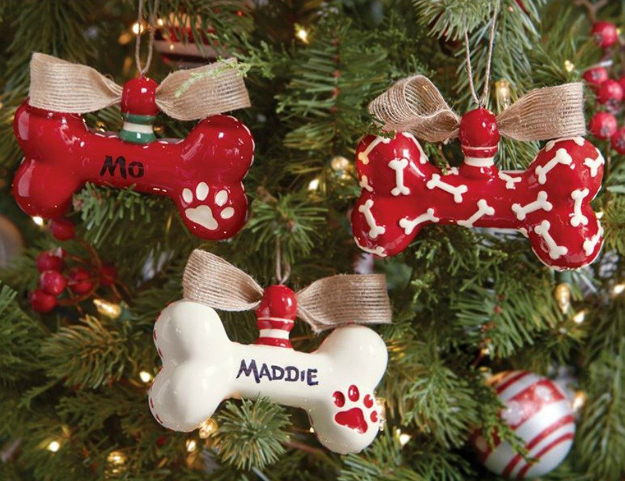 For your favorite pooches, check out the wide selection of holiday goodies at Pooch ‘N Paws – including personalized doggie ornaments, toys, treats, apparel, collars, leashes and more! Get a personalized bone for 1/2 OFF with ANY purchase! (limit 1 per customer). Make memories and give the gift of fun! At Funopolis Family Fun Center you can bring the whole family to play! Santa and character breakfast on Dec. 2nd & 9th – reservations are required with limited availability, so book today! Holiday Special – buya gift card for $25 or more and receive a FREE 2-hour non-redemption Video Card (must present this ad – expires Dec. 24, 2017). Tis the season for giving, and INK has just the right gifts for kids and families. Need an idea? Wrap up a toy from their gift shop or paint pottery for someone special! Also, extend their fun all year by giving the gift of a family membership for only $99. Hours: Monday-Saturday 10am-5pm ($8 admission) and Sunday 1pm-5pm ($6 admission). Dont FURget about Fido! Their Camp Bow Wow gift cards can be used for any of their services including boarding, grooming, day camp, or training. Holistic and organic retail selection is perfect for stocking stuffers! Voted best in Gwinnett since 2008, Camp Bow Wow Duluth is where a dog can be a dog! Experimac of Suwanee offers professional Apple® related services throughout the Suwanee, Buford, Duluth, Johns Creek, and Alpharetta areas. They buy, sell, trade and repair Apple® Macintosh® computers, iPhone® devices and iPad® tablets, and offer some of the best pricing available anywhere for Apple® products and repairs. Experimac of Suwanee has worked on everything from iPad® tablets to iPhone® devices, to MacBook® laptops and iMac® computers, from iOS to OS X®. Celebrations Professional DJ Service is a professional and reliable disc jockey service with over 14 years of experience in wedding receptions, corporate parties, dances, class reunions and events. They offer a wide range of music selections to fit any age group or special occasion. Celebrations Professional DJ Service is exactly what you need to create the perfect musical environment and entertainment for your holiday party this season! Located in the heart of Suwanee Town Center, Ensemble Boutique offers high quality, unique apparel and accessories appropriate for all settings, whether work or play! Shop Ensemble this holiday season for 15% OFF your entire purchase! (Excludes sale items.Cannot be combined with any other offer. Must present this coupon at checkout. Expires 12/31/17). Before you print your holiday invitations, stop by Cartridge World in Suwanee to fill your ink and toner needs. Whether it’s for the home or office, Cartridge World of Suwanee offers great savings. They stand by their products by offering a 100% customer satisfaction guarantee and they are environmentally friendly. Spread some holiday cheer this year! Buy a $100 gift certificate, get 3 bonus gift cards free! $20 for you, $40 to gift to friends & family! As a top salon and spa in Buford, GA, their experienced stylists will listen carefully and create skillfully. They specialize in solving your hair styling problems, color correction, and enhancing your unique look. Their skincare, hair care, massage therapists, and wig consultants are passionate, detailed, and simply the best. Featuring Fabulous Fridays through the holidays, get a massage, facial or manicure and receive a FREE shampoo blowout! Brand new to Suwanee Town Center, stop by Pulse Nail Bar between now and December 31st for 10% OFF! Enjoy a relaxing break while you’re out and about this holiday season or purchase a gift certificate to give to someone special. Easy shopping, cool stuff, helpful folks – Ace is the Place! Holiday lighting and hook-up, gifts, gadgets, tools, home and hearth items, outdoor cooking and games and much more! Featuring quality, premium branded products!